We have decided to let you enjoy your perfect and unique vacation in Punta Cana for the full ride and made a brief overview and Punta Cana restaurant must-visit list. 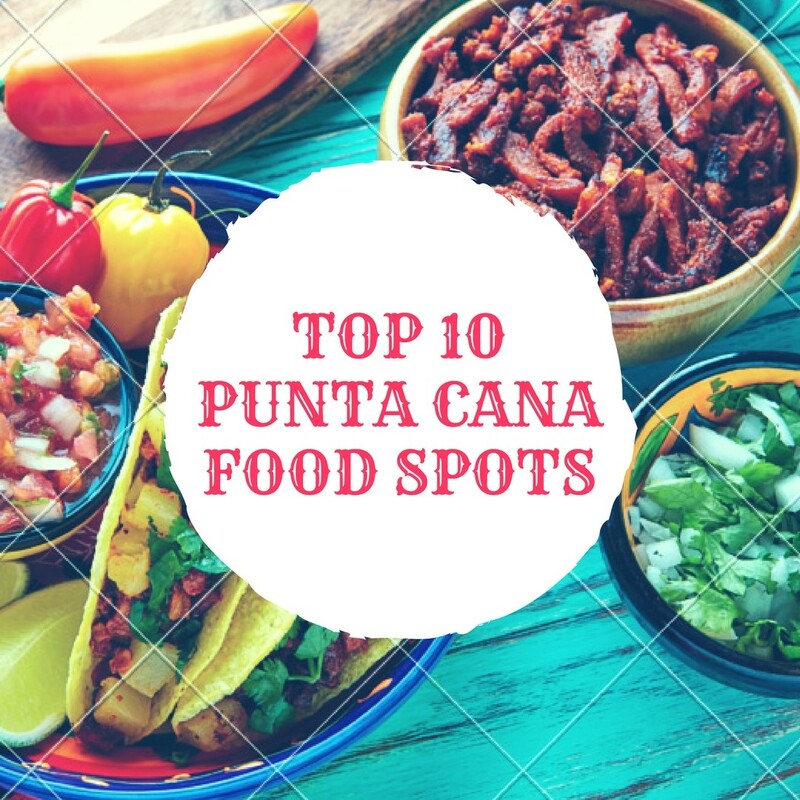 It does not matter whether you spend your vacation at one of Punta Cana hotels or enjoy your staying at a magical ocean-view and seabreeze apartment or spacious comfortable villa, we think it’s just necessary to visit Punta Cana food spots. So, let’s start. If you are into Indian food, you won’t want to miss the opportunity to visit a good Indian restaurant like Pranama. You can order dishes like Mango Rice, Rotis, Goat Masala, Magras Chicken Curry, etc. According to visitors’ reviews: restaurant is not expensive, with freshly cooked dishes, great Punta Cana food items and great service. Average prices range from $10 – $35. Working hours: Here at Pranama Punta Cana restaurant, they start service at 12:30pm till 11:30pm. Location: Pranama Punta Cana food spot is located at Plaza El Dorado Local 103a, Bavaro, Punta Cana 23000, Dominican Republic. Citrus Punta Cana Restaurant is an international cuisine/seafood restaurant, with nice exterior patio and free parking. There are great selections of dishes for everyone, like Ricotta Ravioli, Chicken Pasta in a Red Cream Sauce, etc. According to visitors’ reviews: efficient and attentive restaurant, authentic and tasty Indian punta cana typical dishes and excellent service. Average prices range from $7 – $19. Working hours: Open from 12:00 p.m. – 12:00 a.m. Location: This Punta Cana food spot is located at Los Corales Playa Turquesa, Bavaro, Punta Cana, Dominican Republic. Nam Nam Punta Cana Restaurant is a family owned small restaurant, which is well suited for families. 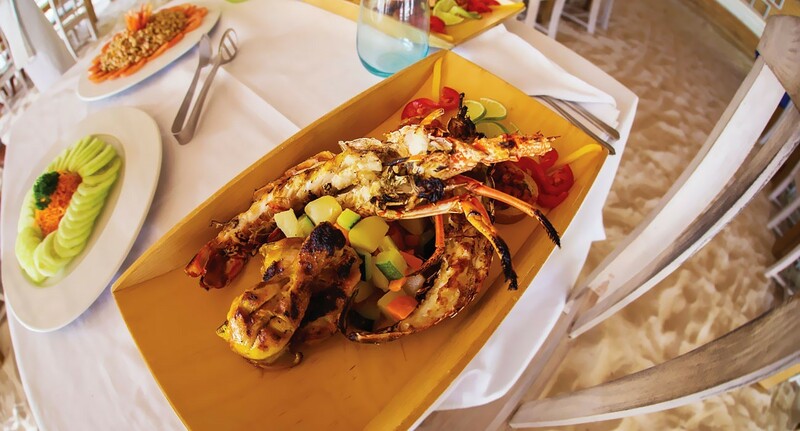 This Punta Cana restaurant is a five times winner of TripAdvisor Certificate of Excellence. Here you can find burgers, sandwiches, salads and homemade desserts with beverages for a very reasonable price. According to visitors’ reviews: their services are so outstanding, with great salads and sandwiches, crowned with generous service. Working Hours: This Punta Cana food spot begins services by 11:00 a.m. and end by 11:00 p.m. from Tuesday – Saturday and on Sundays from 12:00 p.m. to 10:00pm. Location: This Punta Cana restaurant is located at Los Corales, Plaza Sol Caribe, Bavaro – Punta Cana, Dominican Republic. Wacamole Punta Cana Restaurant is a Mexican food and drinks restaurant with live and lively music. Here, you can find Bean Dip, Guacamole, Fish Tacos, Chicken Fajitas, etc. According to visitors’ reviews: reasonable prices, the waiters are incredible, highly recommended, etc. Average prices range from $5 – $25. Working Hours: Open from 11:00 a.m. to 2:00 a.m. Location: This Punta Cana foos spot is located at Calle Aruba y av Alemania, Los Corales near El Dorado, Bavaro, Punta Cana 23000, Dominican Republic. Cuts & Grill Punta Cana Restaurant is commonly known as a Steakhouse and barbecue restaurant. It is one of the most visited and recommended places in Punta Cana. Here, you will find punta cana typical dishes like Grilled Angus Burger, Steaks, Chicken, Veggies, etc. According to visitors reviews: clean place, prices are absolutely fair, the restaurant satisfies my entire family, etc. Cuts and Grills average prices range from $3 – $20. Working Hours: Open from 11:00 a.m. to 11:00 p.m. Location: This Punta Cana food spot is located at Avenida Alemania, Plaza Villa Josefa Local A1, Bavaro Huguey, Bavaro, Punta Cana 23301, Dominican Republic. Little John Punta Cana Restaurant was opened in 2010, and represents Caribbean and International cuisine. It is no doubt a perfect place to relax, enjoy your meal and admire the seashore view. It is also a restaurant that is good for special occasions, romantic date and bar scene. Here, you will find seafood, steaks and salads, along with some delicious beverages. According to visitors’ reviews: the menu is very robust and delicious, the beach is beautiful, etc. Little John average prices range at $8 – $42. Working Hours: Open from 9:00 a.m. to 11:00 p.m. Location: Located at Playa Juanillo, Cap Cana, Punta Cana 00000, Dominican Republic. Jellyfish Punta Cana Restaurant is a popular bar and grill with seafood menu, representing Caribbean cuisine. It is known for wedding hosting. According to visitors’ reviews: good for a romantic dinner, their service at Jellyfish Restaurant is beyond amazing, etc. Jellyfish Restaurant average prices range at $20 – $35. Working Hours: Open from11:00 a.m. to 11:00 p.m. Location: Located at Carretera Bavaro, the vicinity of Punta Cana, Dominican Republic. La Taberna De Charlo is a two-story seasonal tapas restaurant with second floor outdoor terrace where you can enjoy mesmerizing sunset. According to visitors’ reviews: comfortable and awesome sushi, beautiful ambience, etc. La Taberna De Charlo average prices range at $10 – $65. Working Hours: 8:00 a.m. – 12:00 a.m. from Monday to Saturday and 11:00 a.m. – 5:00 p.m. on Sundays. Location: Located at Fishing Lodge, Cap Cana, Local D-81, Punta Cana, Dominican Republic. Ceviche 301 Punta Cana is a cozy Peruvian restaurant with great and affordable food and friendly staff is highly recommended by its visitors. According to visitors’ reviews: good food and service, great spot to eat in Punta Cana, etc. Ceviche 301 average prices range from $5 – $13. Working Hours: Open from 12:00 p.m. to 11:00 p.m.
Hard Work Café is an American Punta Cana restaurant and bar that offers its guests the authentic rock atmosphere and great American fare that has made the Hard Rock brand world-famous. According to visitors’ reviews: awesome food and staff, great restaurant, etc. Hard Rock Café average prices range from $12 – $35. Working Hours: Open from 11:30 a.m. to 1:30 a m.
Location: Located at Calle Palma, Avenida Barcelo 57, Bavaro, Punta Cana 23000, Dominican Republic.